In a recent article on Forbes, Jordan Shapiro shared this quote by Marie-Louise von Franz. It echoes my experience of folktales throughout my career as a traditional storyteller. I first recognized the potency and power of these tales while reading Rumpelstiltskin to my daughter. The Story Wisdom, in these tales that have been distilled over time, explores and expresses deep human truths. We need only pay attention in a particular way to hear what these truths are. In later years the subjective approach was broadened to include the idea that any objects in the dream also represented aspects of yourself. The characters, symbols and signs of the dream were a communication from your unconscious mind whose purpose was to move you along in the individuation process – your self-development. are mirrors of aspects of yourself. 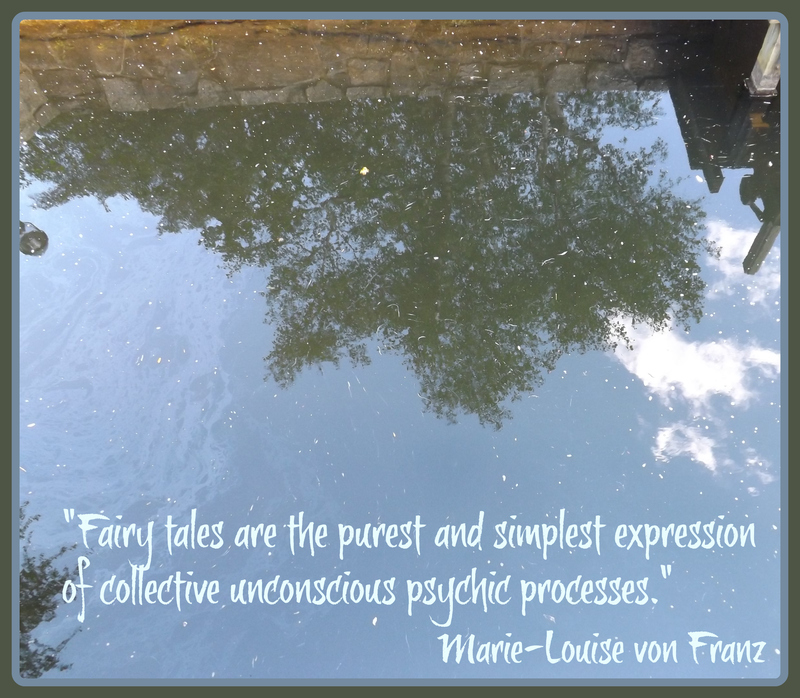 What you see, feel and hear within the folktale carries a message from some aspect of your unconscious mind. This is information that you have been unable to hear in other ways. What you notice most about the story and its elements is directly tied to what it is you need most to learn or to understand about yourself. The story transmits this deep wisdom and insight through its imagery. The archetypes in the story are a part of the collective unconscious of all of humanity and have relevance to each one of us, however, what stands out to you at any given time is a communication from your own personal unconscious mind. Tapping into story in this way requires the ability to think metaphorically. It’s the ability to allow an image from a story to represent an aspect of yourself. It cannot literally mean what it appears to mean. Instead it is an imaginal expression of a deep truth. This takes practice and a willingness to suspend disbelief. The Good Juju Workshop is designed to foster this skill. Physical and artistic exercises help to open the mind and heart to this new voice from within, in conjunction with the presentation of an archetypal story. Folktales are unassuming and friendly messengers. We are typically very open to them, as opposed to hearing a lecture, or receiving a critique. As an added benefit, learning to see imagery as a metaphor for information from your unconscious mind enables you to apply this to every area of your life. Spending time learning how to access Story Wisdom from folklore provides valuable practice for learning to see the people, events and landscapes of your literal life as mirrors of your internal world. This skill deepens and enriches your experiences and frees you up to receive one of life’s greatest gifts – meaning.